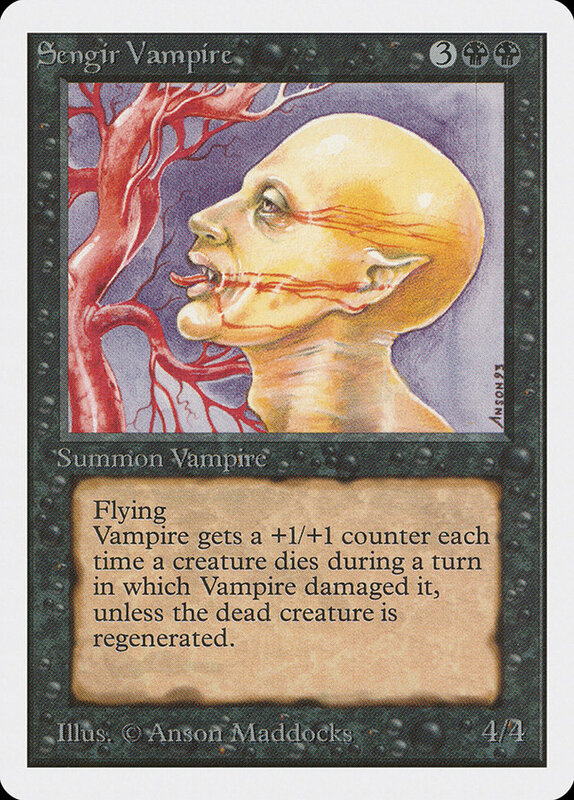 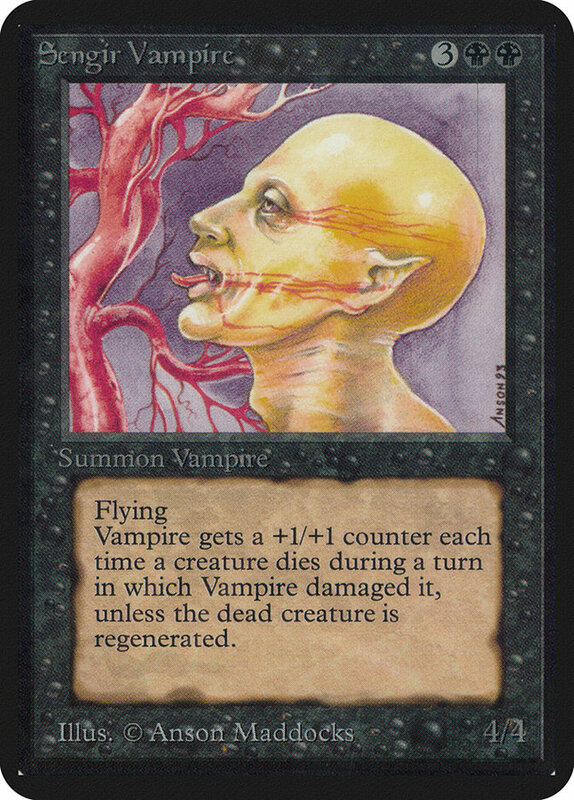 Vampire gets a +1/+1 counter each time a creature dies during a turn in which Vampire damaged it. 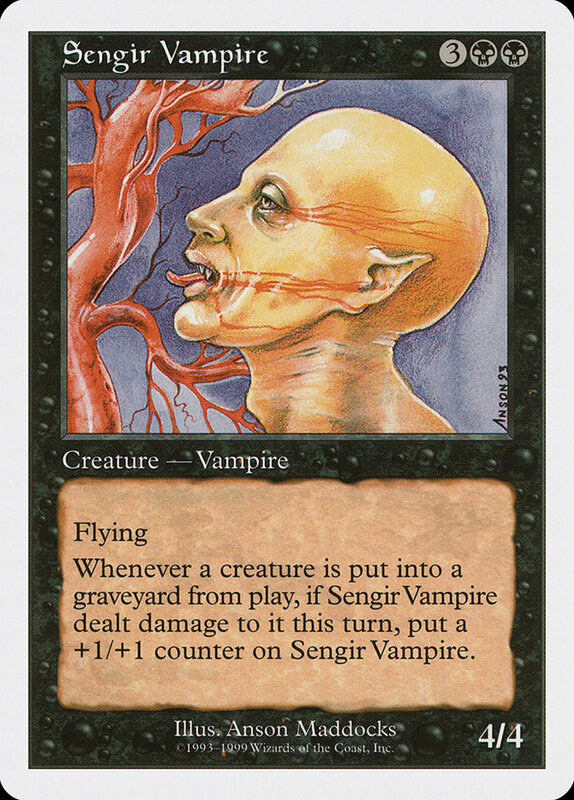 Put a +1/+1 counter on Sengir Vampire each time a creature is put into the graveyard the same turn Sengir Vampire damaged it. 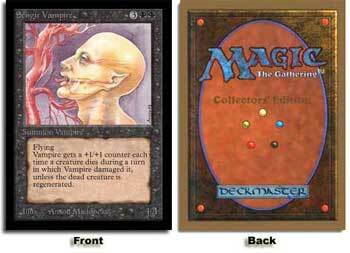 Vampire gets a +1/+1 counter each time a creature dies during a turn in which Vampire damaged it, unless the dead creature is regenerated. Whenever a creature is put into a graveyard from play, if Sengir Vampire dealt damage to it this turn, put a +1/+1 counter on Sengir Vampire.